We have launched an online tool to get your feedback on HALA’s proposals. This is an interactive survey where you can see other respondents' opinions alongside your own. Many of the recommendations in this survey were generated by community conversations and they cover a wide variety of topics. It will also be evolving and changing and new elements of HALA are being developed. Please check in regularly to see new questions. Log onto Consider it to give your opinion on the current HALA topics. 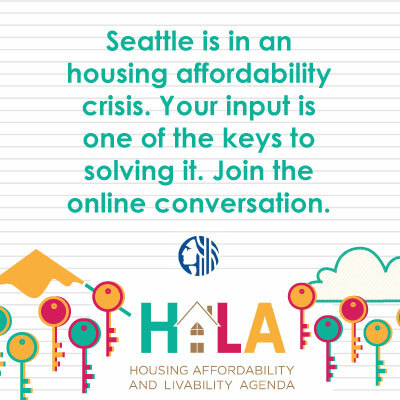 In January, Mayor Murray invited anyone in the city who wanted to get involved in shaping the Housing Affordability and Livability Agenda (HALA) to apply for participation in focus groups. We had an overwhelming response with nearly 700 applicants. 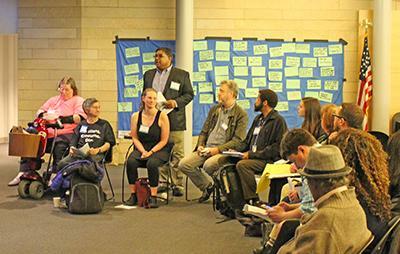 In the end, approximately 170 people with diverse backgrounds and perspectives are coming together to learn about land use, equity and other factors so they can provide the City and fellow Seattleites more targeted, ongoing feedback on HALA and related issues. We'll report here on their progress. They are focusing on the Mandatory Housing Affordability (MHA) Program which is the cornerstone of the Grand Bargain. 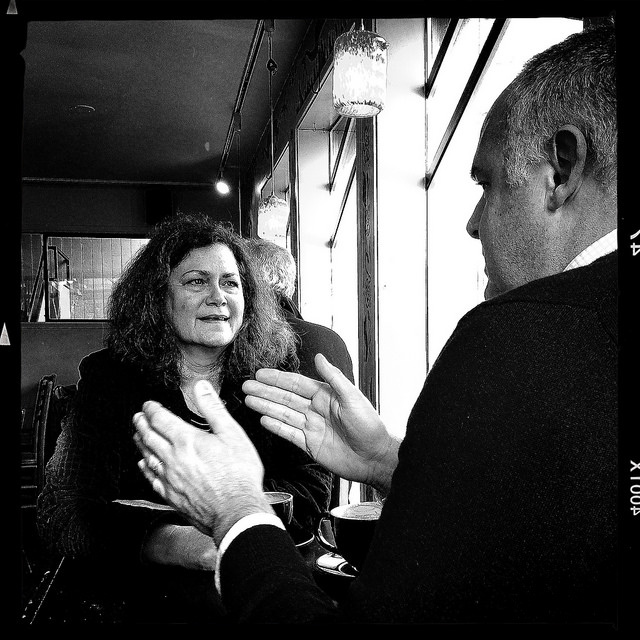 We have spent time with different local groups recently. Here are some of their thoughts. Join us at one of our upcoming meetings, online or at events that we are attending. More updates throughout the summer. And, check out our online calendar. We include dates that City Council will be discussing important issues and other items related to HALA. Read what the news media and bloggers are saying about HALA.